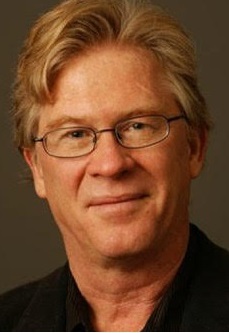 Thomas H. Luxon is Professor of English at Dartmouth College. He is the General Editor of The John Milton Reading Room (MRR), an online edition of Milton’s complete poetry and major prose which answers an average of 5,000 requests for pages daily from 126 countries. The MRR has won several awards and grants for innovative use of the web for education. He is also the author of two books, one on Bunyan and Puritan allegory and another on Milton, Marriage, and Friendship, as well as articles on Milton, Bunyan, Shakespeare, Dryden, and pedagogy. For nine years, Luxon was the inaugural Cheheyl Professor and founding director of the Dartmouth Center for the Advancement of Learning, a center devoted to teachers’ professional development. He has new work forthcoming in Studies in Philology on Dryden’s Troilus and Cressida, and in Milton Studies on Milton and Dryden and is working on a book entitled Heroic Restorations: Dryden, Milton and Shakespeare. Luxon has held visiting professorships at the University of Glasgow and Liverpool John Moores University. He has won fellowships and awards from the Woodrow Wilson Foundation, the National Endowment for the Humanities (twice), and the Campus Compact for New Hampshire. Luxon also serves occasionally as a consultant on faculty development and curriculum design. I am hardly the best, but what helps is being sincerely invested in my students’ success. To walk unaided until the very end. Founding the Dartmouth Center for the Advancement of Learning and seeing that it continues strong. I am afraid I must keep that private. "What’s the worst they can do to you?"